In July, 2015 in Morden I visited Morden Fun Day where I set up my stall to sell African Curio and to sell some of the students’ artwork produced both this year and from last year. It was a great event, lovely weather and lovely people. It made me realise I need to do more of this so next year I’m back at Mitcham Carnival and Wimbledon Village Fayre – one in each month of my return to the UK if possible! Meanwhile, as I indicated in my Q2 post, Morden Rotary Club donated £500 for the replacement of school uniforms for the children of Lyamungo Sinde Village in Tanzania. This came in addition to CDN$600 donated by Ndenny Meakins, formerly of the village but now in Saskatoon! At a cost of just under £10 each we were able to commission altogether 115 uniforms and to pay a village seamstress along with two of her helpers to make these uniforms (thus creating work within the village). We finished phase 3 of the operation operation in August with 45 uniforms for years 5 and 6 at the smallest of the schools, ARI Primary. Again, as indicated in the Q2 post I am proposing a complete renewal and refurbishment of the kitchens at ARI Primary as well as industrial cleaning and renewal of the toilets. Both buildings are bordering on health hazards both for pupils and staff. I established a ‘GoFundMe’ page for this and welcome additional donations to those already generously completed. See my GoFundMe page here. In this quarter, thanks again to Morden Rotary Club I delivered 20 pairs of spectacles donated by club members and friends. These were a very welcome gift for the village. Where average daily income is probably $1.25 or below, a visit to ‘Specsavers’ for most people in the village is out of the question. 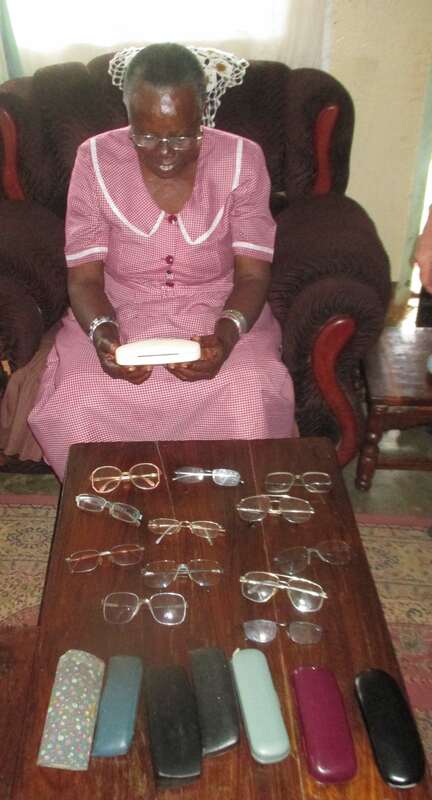 I commissioned the village secretary (pictured) to notify people in need of specs so that she can donate them on behalf of ABCDreams (UK) and Morden Rotary Club. This has been one of the more rewarding exercises for me as my work has so far extended only to the children. And again with thanks to Morden Rotary, we donated football kits to the boys of Lyasikika Secondary School. I don’t have pictures yet but will visit the school for a game next week, so pics to come in the next issue. Thanks again to all those who donate and who wish us well in Lyamungo Sinde. The village is, as ever, very grateful. Finally, for the first time this year I’m have set up a shop page for your convenience. Please be patient while I add products to the page! You will be able to shop for pictures painted by my students here in the village at the same time contributing to their welfare in school. Remember, although these are paintings done by all the kids, your sales will help those on my list who are most vulnerable. 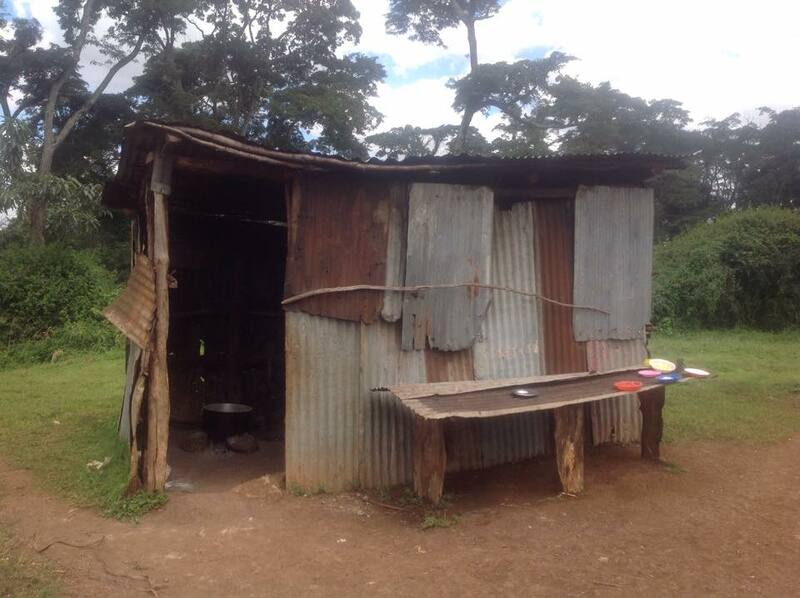 The first picture was done by Regan when he was at Lyamungo Sinde Primary School. He is now in Lyasikika where I am continuing to support him but at the higher cost required for secondary education.